This new "Freeform Window mode," as it's called, lets you move apps around just like you're using a desktop—and it even supports mouse and keyboard input, so it's a great experience on devices with larger screens. All you need to activate this new feature is one simple app, so check out how it works below. 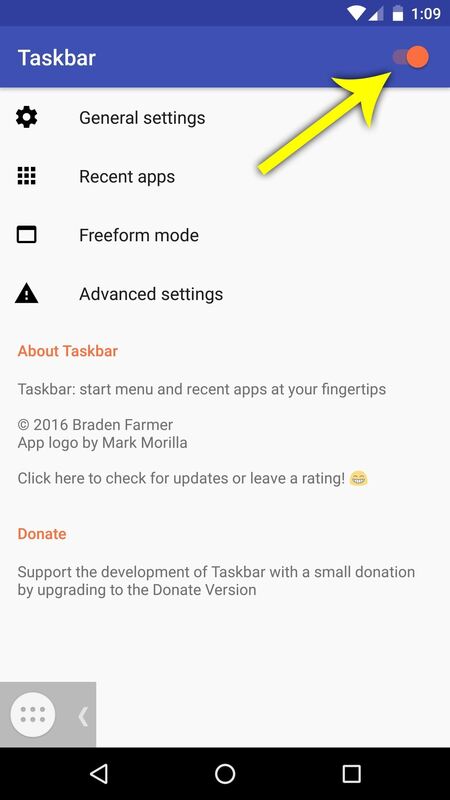 To get this one going, the first thing you'll need to do is install an app called Taskbar. 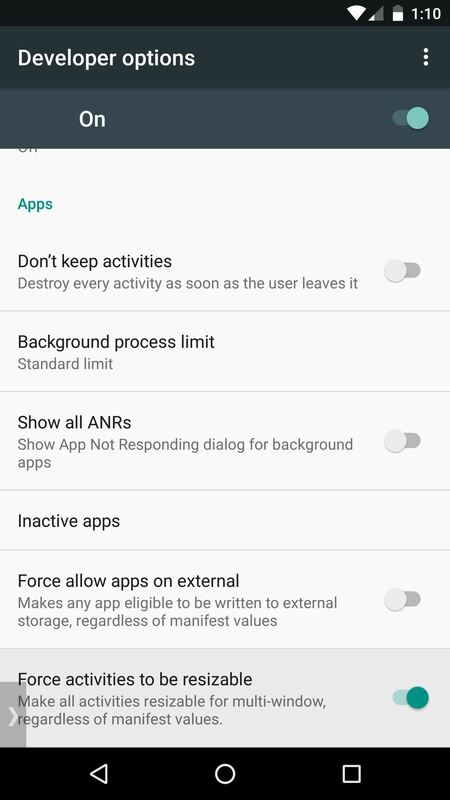 This provides a small pop-up interface that lets you launch apps in Nougat's Freeform Window mode. 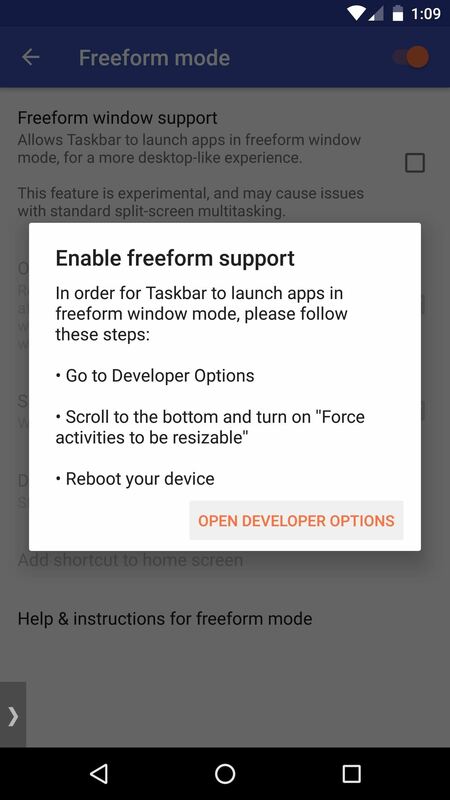 Once you've got the app installed, enable Taskbar's main service using the switch at the top of the screen, at which point you'll see a small floating interface in the bottom-left corner that you'll be using to launch Freeform Windows. 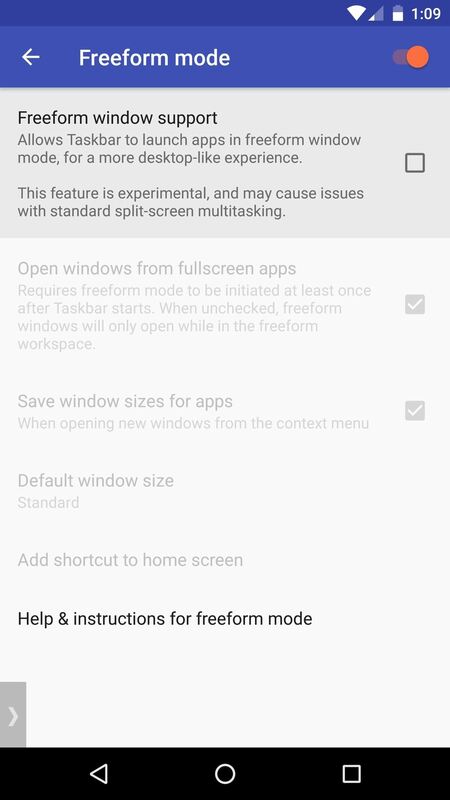 From there, head to the "Freeform mode" menu to enable one more option. Next up, tick the box next to the "Freeform window support" option, then press "Open Developer Options" on the pop-up. From here, scroll down to the bottom of the subsequent menu, then enable the switch next to "Force activities to be resizable." When you're done with this, reboot your device to make the changes take effect. 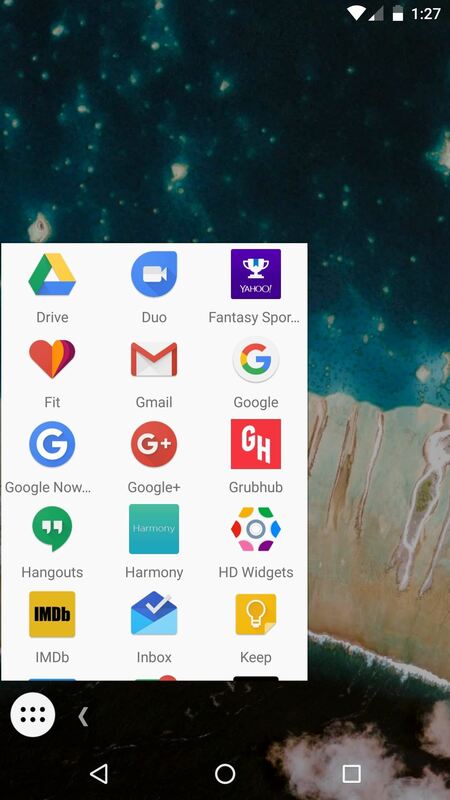 When you get back up, open your recent apps menu and scroll to the top of the list, then press the "Clear All" button. 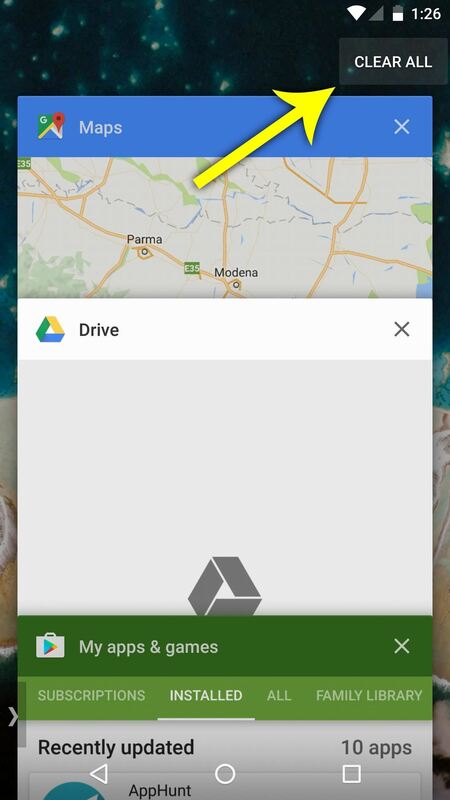 Once you've done that, open the recent apps menu again, then expand the Taskbar floating interface near the bottom-right corner of your screen. 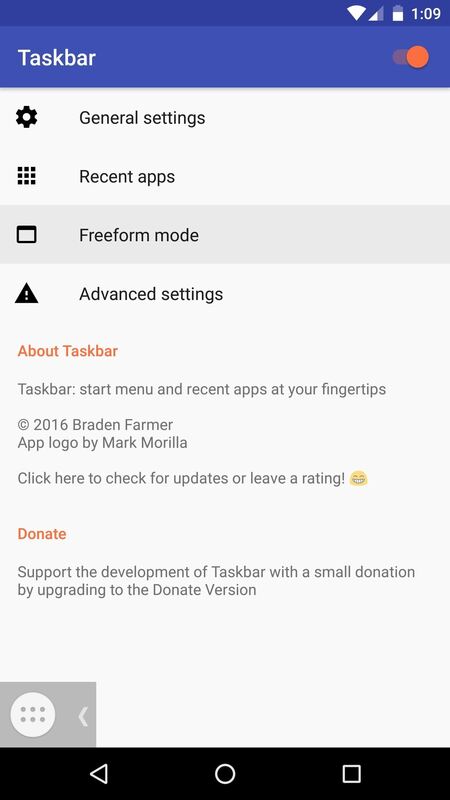 Next, just tap the app drawer icon, then any app you launch from here will open in freeform window mode. At this point, you can use the Taskbar interface to launch as many freeform windows as you'd like, but be aware that you have to start from a fully-cleared recent apps list to open apps with this interface in the future. Once you've got some freeform windows open, you'll quickly notice that it's a lot like the experience you would expect on a desktop. You can move windows around by dragging the title bar, you can close or maximize windows using the "X" and rectangle icons, and you can even resize the windows by dragging from their edges. 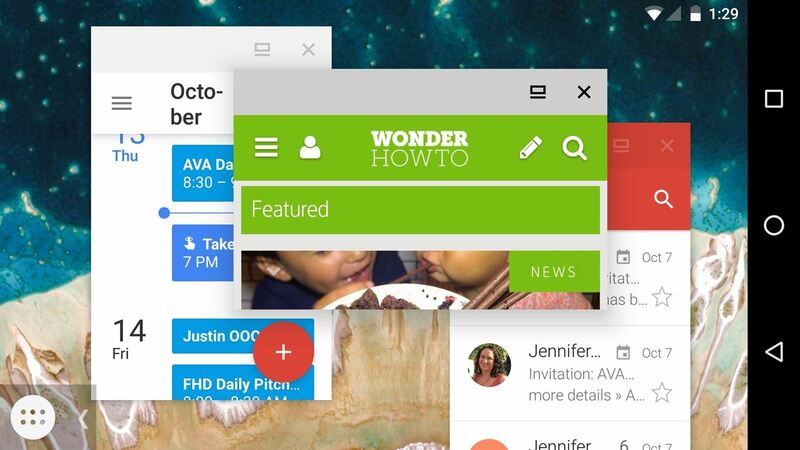 Has this new interface improved your multitasking experience on Android, or do you think it still needs some work before it's ready for prime time? Let us know in the comment section below.